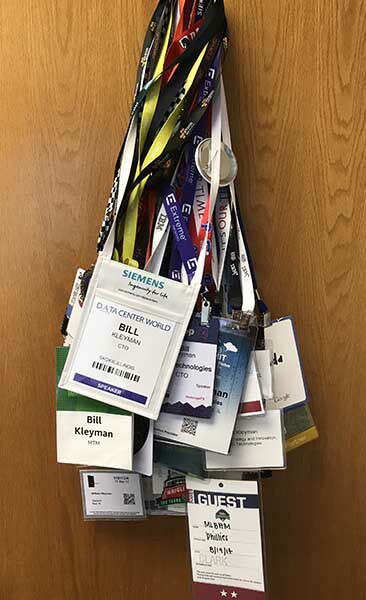 I’ve been in the IT industry for well over a decade, and over those years, I’ve attended a lot of conferences. 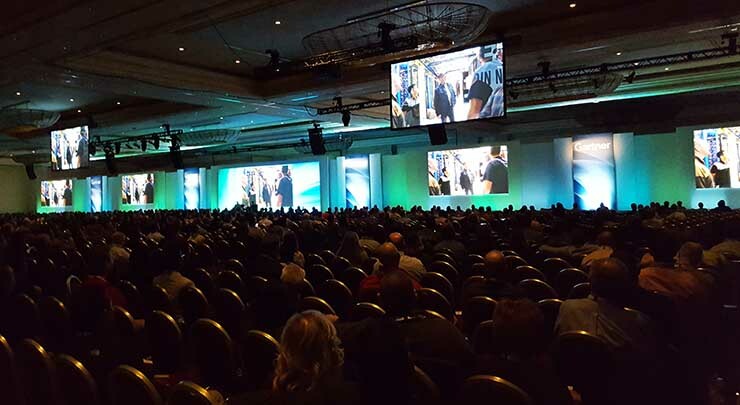 As an industry analyst, architect, and now CTO at mid-sized consulting firm, I get the chance to both attend and speak at a variety of industry events. In fact, I have an office hook that holds ALL of my badges and lanyards. It looks like an amazing conference IT Christmas tree. It really feels like an email about a conference comes into my inbox on an hourly basis. 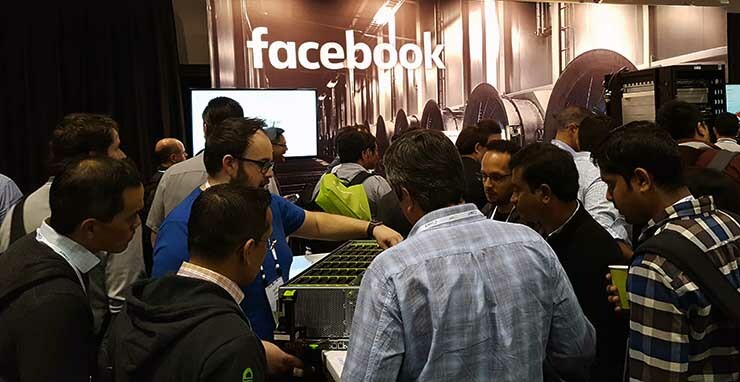 There will always be major conferences out there to attend, with tens of thousands of people congregating and learning about IT, cloud, and data center topics. It’s easy to get overwhelmed. Whether you’re going to a small show or a major convention, there are ways to get the most out of your experience. When I attended my very first major conference, Citrix Synergy (a cloud and virtualization conference) years ago. I remember the entire process very clearly. There was the build-up and hype, and then the planning and session research. Finally, you had to coordinate with colleagues, partners, friends, and make sure all of your travel plans were in order. A big reason I remember my very first conference is because of how frantic everything seemed. Looking back, there were things I could have done better. If you’re attending a conference soon, here’s a list of things I’ve learned that can help you perform like a conference professional. Planning is an important part of any conference experience. The process begins by assessing the conferences on the schedule, and which ones will provide genuine value. Your criteria may differ from mine, but once you’ve identified the events you’d like to attend, it’s time to do some pre-show planning. Don’t leave your travel plans to the last minute. If you do, you might find yourself at a hotel that’s a solid 1.5 miles away or more. If you’ve attended enough conferences, this has happened to you. I recall attending VMworld in San Francisco and booking the hotel WAY too late. The result was an Uber every morning to the Moscone Center, and a ride back when everything was done. Not very efficient, and adds time and overhead to your experience. Book early! Do your research on conference sessions. In my early conferences I recall absolutely packing my day with sessions, including both technical and business sessions. I also remember being exhausted and overwhelmed almost every single night. This really isn’t the best way to get good information out of a conference. Instead of packing your schedule like crazy, find the sessions you like and that are genuinely relevant to you and your business. Contact conference organizers and ask which sessions are usually the most popular. Conference organizers can let you know who is a returning speaker, which sessions are filling up quickly, and generally what might be interesting. Organizers love to respond to eager attendees. They’re the ones who are more involved, go to more sessions, and take away more from the conference. Go outside of your comfort zone. You’ll have your core sessions that you’ll attend. But make sure to find some that are just outside of your current expertise. Stretch a little. If you’re an engineer, find a session or two that tie in business requirements or a parallel technology. Similarly, if you’re in IT sales or business development, go to an architecture or a technical session that’s “medium” in difficulty. If it’s a technology you work with regularly, learn how it works. You’ll be surprised how much you’ll be able to apply to your everyday IT work and improve relations with your customers and even your own business..
Once you’re on-site at the event, there are professional development benefits to be found both inside and outside of the conference agenda. Here are some ideas for making the most of conference sessions. Go to the keynote. It’s almost always worth it. Not just the first day either! You should go to all of the keynotes being presented. 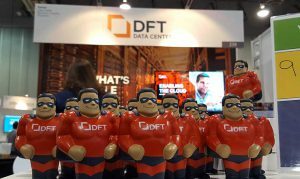 These are usually great presenters sharing industry perspectives and major trends pertaining to the IT and data center world. Don’t be lazy – these sessions are valuable and worth the effort. Not all sessions take place at the conference center, some are offsite. There are some great “off-campus” sessions that might be happening at an adjacent hotel or conference center. Find vendors or partners who are holding these events and see if you can join in. This may include data center tours or dinners. Take meetings, network with people, and make connections. A major goal when you attend a conference should be to meet someone new and network. This is a great way to grow your business network, make new friends, and even create possible new sales opportunities! Social media is your friend! I really can’t stress this enough. Use Twitter, LinkedIn, Facebook and even Instagram to make connections and friends. This is a tool that I’ll regularly use to connect with people and locate friends at conferences. Oftentimes, when you follow trending items related to the conference, you’ll quickly get access to private events, popular sessions, and much more. Be sure to learn the event’s hashtag on social media and use it as you share content from the conference. This is a great way to get noticed and build your social channels. Take notes, but not verbatim. This is a great conference tip. If you attend a session, and write or copy everything down verbatim, you might not get as much out of it as you think. Rather, try to do shorthand or even paraphrasing that sounds more natural to you. This way, you’re not just copying content. Rather, you’re processing it on the spot and making the content more your own. Ask questions and engage in conversations. Don’t be afraid to speak up or ask questions. There is a high probability that someone else is thinking exactly what you might want to ask. The quiet in the room after the speaker finishes happens almost every time. Speak up, ask a question, and help the conversation get started. Try not to leave early! I know you want to go home. You miss your own bed. You might be completely tired of conference food. But resist the urge to leave a day or two early. There are so many valuable sessions and content after the first day. You’ve already made the trip and the investment into the conference. Make sure to get the most out of it. There’s lots to learn and do beyond the keynotes, panels and presentations. Here are some tips on going “beyond the agenda” to make the most of your conference experience. Take time to explore the expo hall: If there is an expo at the conference, be sure to walk the show floor and check out all the booths. Yes, you’ll see lots of folks selling. 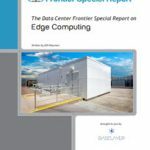 But conference expo halls can serve as an overview of the data center ecosystem, and you’ll almost always find value in a thorough scouting mission. You may unearth new partners or customers, or get some competitive intelligence on rivals and how they are positioning their brand. Sometimes there’s cool hardware on display. Expo hall activity can also be part of your social media strategy. If you visit someone’s exhibit, do a selfie with the booth staff and post on social media and tag the company. Chances are good you’ll get a reTweet or share. Don’t go alone; find friends or connect! I’m a pretty friendly guy, so making friends isn’t hard for me. However, even if you’re a bit more introverted, find someone (in a session or otherwise) that shares your agenda or your interests. You’ll get so much more out of a conference if you can discuss topics, sessions, and things you’ve just learned. Don’t stay in your room. I remember one day I was feeling lazy mid-conference (who hasn’t had that feeling) and didn’t want to go out. Fortunately, a friend of mine pulled me out of a room and we went to a partner gathering in the evening, which was extremely fun. Unless you’re not feeling well or have to deal with some important work item, try to get out of your room. There are always events, sessions, or some kind of happy hour happening. Do your best to disconnect from external workflow and be present at the conference. This has to be the hardest thing to do. I know I’m guilty of this; sitting in a session typing away a work email that “absolutely has to be sent out.” I don’t expect you to completely ignore the outside world. However, the more you do, the more immersed you’ll be in conference and the more you’ll get out of it. Bring an extra bag. You know… for all the cool show floor items and swag. Each conference is going to be a bit different. Even the ones that happen annually will try to do something new and different to maintain interests among regular attendees. Going to these conferences should be an enlightening and educational occasion. That said, I also know that conferences can be a challenge with travel, being away from work, and the otherwise disruptive nature of a large gathering. It doesn’t have to be daunting. Make sure to prep for the conference and maybe even take a day off when you get back. This helps you ease in and out of the event. Finally, just make sure you enjoy yourself and make some new friends. Honestly, that’s the best part of the conference – learning something new and meeting up with dear friends and industry colleagues. Enjoy your next conference, meet a new friend, and make sure you learn something new!